* You will be redirected to the site in Portuguese. 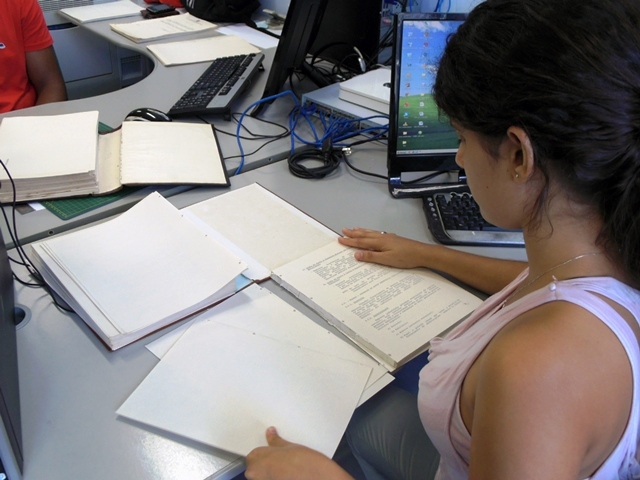 Procondel is a project for the preservation and access to the archives produced by the Deliberative Council (Condel) of Sudene (Superintendency for the Development of the Brazilian Northeast) from 1959 to 2000. Conducted in partnership with the Federal University of Pernambuco, Procondel aims, by 2016, the preservation of the collection and the universalization of its access. The purpose of this site is to generate data for analysis, discussion and formulation of new knowledge, public policies and the establishment of guidelines for regional development, serving as a contribution to the university, governance, investors and the public in general. The economic and social transformation that the Northeast region of Brazil went through last fifty years makes the knowledge of the actions triggered by Sudene essential. These actions have prepared the northeastern states for the allocation of investments in various sectors of the economy. These investments were able to mitigate, but not solve, the interregional and intraregional inequalities, which still remain. The collection of the Deliberative Council of Sudene - Condel is of capital importance for research in the social and economic fields, considering the activity of Sudene for the development of the Northeast. This project provides access and knowledge of the partially unpublished documentation produced by the "Northeast Parliament", being a research source for scholars and subsidy for the syllabus of various areas of knowledge such as geology, hydrology, sociology, economics, agronomy, education, geography, information science and planning. The treated archives will allow the promotion of studies, researches, courses and systematic reflection on the socio-economic, environmental and political realities of the Northeast region in the global context. 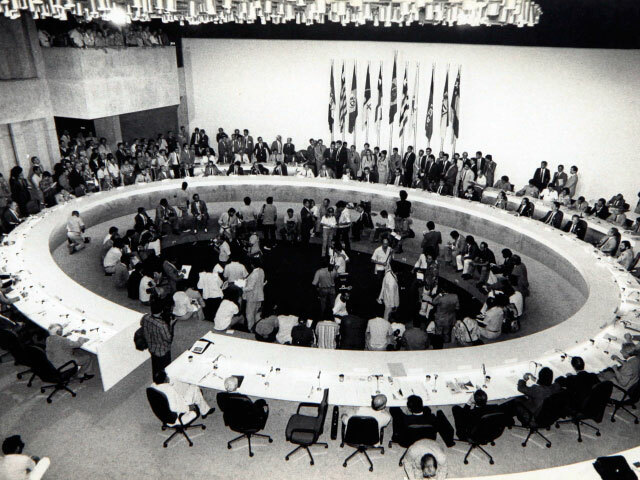 It's impossible to understand the history of the Northeast and of Brazil in the last 55 years without knowing the actions of Sudene in the region. 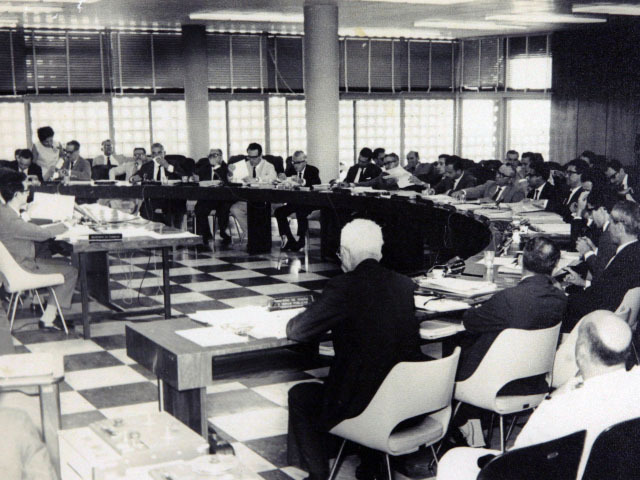 Besides the diagnosis produced by skilled technicians addressing our impulses and obstacles, there is the debate of regional and national political leaders who helped shape the modern Brazilian state. With this site, Sudene takes another step towards the fulfillment of the right to information. The first phase of Procondel took place from August 2013 to March 2014, comprising part of the collection produced from 1959 to 1970. Another activity performed in Procondel I is the research in major newspapers of Pernambuco, having as by-products of the project articles, editorials and mentions to Sudene from 1959 to 1964. Some of the articles are selected and commented on the Timeline section (only available in Portuguese). In the first phase, 65% of the team was comprised of professors and students from the Federal University of Pernambuco and the other 35% were from other universities, public schools and partner institutions. The Procondel II, launched in April 2014 and completed in January 2015, continues the activities of the first stage, ie, the treatment of the textual and audio collection from 1971 to 2000. The iconographic collection was also identified, edited and digitalized by History students from UFPE. 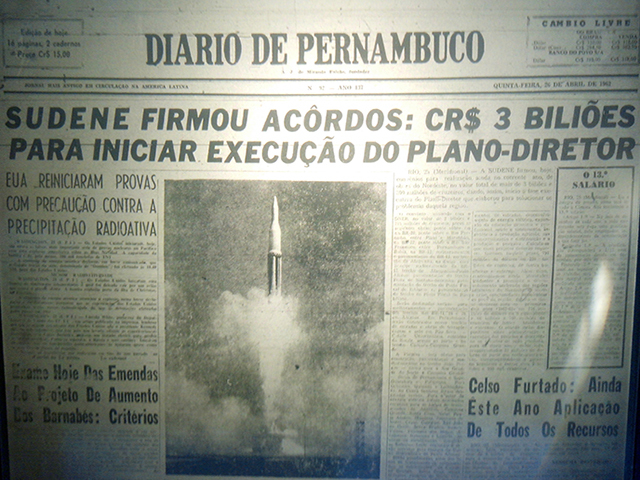 This phase also included the continuation of the research in the newspapers of Pernambuco, as well as collecting the testimonies from former collaborators of the Condel. In addition to the collection available at this site, the project has as its first publication the book "Brazilian Northeast in question: an agenda for reflection ", edited by Sudene and organized by Marcos Costa Lima and Angela Nascimento. The book contains articles by economists, political scientists, sociologists, architects, teachers of various educational institutions and journalists, as well as an unpublished text by Celso Furtado, kindly provided by his widow Rosa Freire d'Aguiar, who is also part of the book as a co-author. The book is available in digital format (only available in Portuguese). 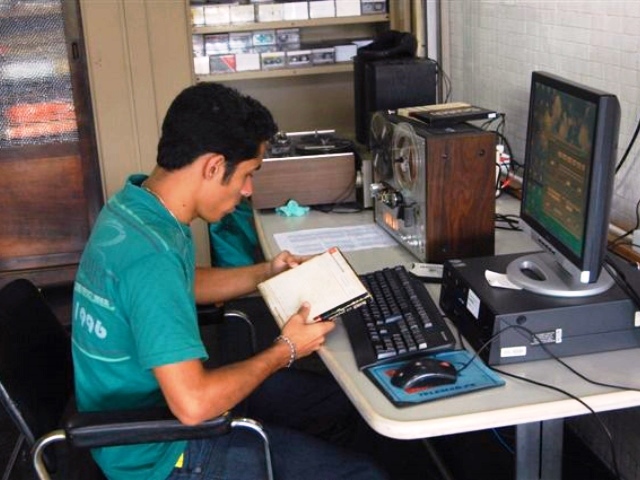 This stage of the project involved a team of 30 people, mostly students and professors from the Federal University of Pernambuco, from the Departments of Administration, Information Science, Political Science, Social Communication and History. Procondel has started in 2015 its third stage. In this phase, the reports from 1960 to 2000 and the opinions from 1971 to 1975 are being treated. The project involves the collection of testimonials from employees and their transcription, in addition to the digitization and preservation of 125 audio tapes and 200 VHS tapes. This phase also includes research in Pernambuco newspapers from 1967 to 1980 on topics related to Sudene and the development of the Northeast, whose content will be part of a database made available to researchers, the realization of SUDENE Debates cycles in states of the region and the publication of second volume of the series "The Brazilian Northeast in Question: An Agenda for reflection", which seeks to deepen reflection on important issues related to development of the Northeast, from a multidisciplinary approach. The end of this phase of the project is due to May 2016. The team is made of researchers and teachers from the Federal University of Pernambuco, from the Departments of Information Science, Political Science, Social Communication, History and Law, under the scientific coordination of Professor Marcos Costa Lima (Political Science/UFPE) and the executive coordination of Professor Angela Nascimento (Procondel). The principles of Memory for the Information Science are linked to the concept of Digital Curation, comprising a set of strategies that preserve and provide access to collections. This project is based on the principles of Memory using the instruments of the Organization of Information and Informational behavior to spread and give access to the textual collection, dating from 1959 to 2000. 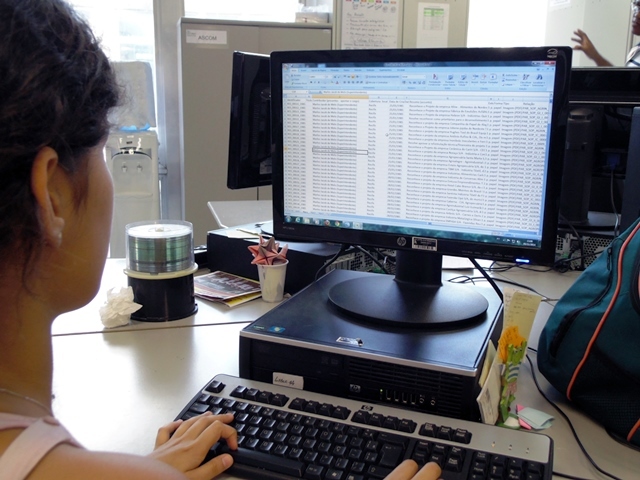 Thus, it involves the instruments of organization of the information, with the information being represented by metadata, and information behavior, in its forms and ways to search for information in the digital collection, besides the technological strategies for data management with a system of information retrieval. The applied procedures involved the description in metadata for each document type, with elements that describe the whole information flow, such as authors, abstract, subject and relation to other types that are part of the collection; and scanning, with the conversion from analog to digital format. The project complies with the methodological mechanisms developed by the team with the proposal of conservation - high resolution scanning, and accessibility, by providing the appropriate means of search, retrieval and access to information. Given the current ways of use of information in contemporary society, the project plans to fit to the needs of users so that they can engage with the collection, by providing direct acess for the researcher to the raw source of information. 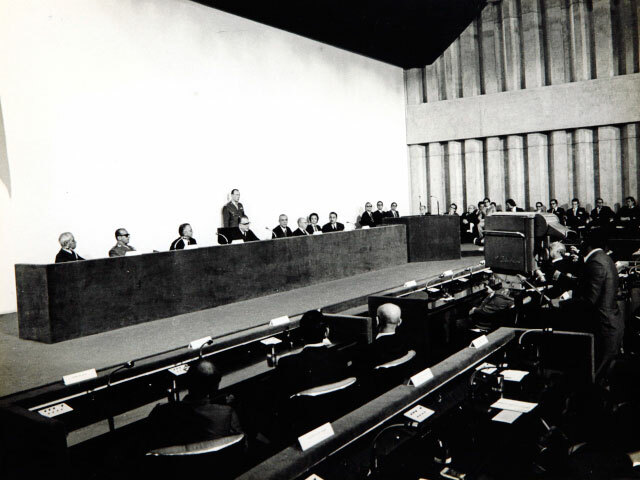 MINUTES (1959-1970): Written reports or reviews of the sessions or ceremonies. Every meeting of the Deliberative Council of Sudene - Condel was recorded in minutes. This document, numbered sequentially regardless of the calendar year, was filed chronologically and distributed to all members of the Council at the next meeting. The meetings could be ordinary or extraordinary. OPINIONS (1960-1970): Opinion, judgment, vote, technical opinion on a subject or event. All claims for companies in any segment were submitted to the corresponding area where technicians would issue an opinion, assisting the Deliberative Council of Sudene - Condel to make the decision of whether or not the claim would be accepted. PROPOSALS (1962-1970): The act of offering or suggesting something for acceptance, adoption, examination or deliberation. Governmental actions performed by Sudene or its subsidiaries were subjected to the approval of the Deliberative Council of Sudene - Condel. REPORTS (soon): It is a thorough and detailed description of the facts in the management of government or society. The Deliberative Council of Sudene - Condel had the role of Executive Secretariat and therefore at every meeting, the report of its activities was submitted since the last meeting. RESOLUTIONS (1960-1970): It is a normative act that has the purpose of deliberation, decision. All resolutions of the Deliberative Council of Sudene - Condel were regulated by resolution issued by the Superintendent.